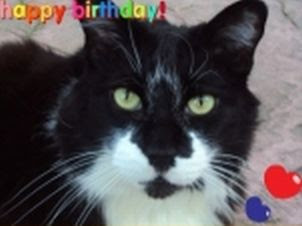 Today my cat Mar celebrates his 14th birthday! Here is to many more cancer free happy years for this big boy - the furry love of my life! Hi Mars, you big beautiful boy! HAPP BELATED B DAY!